1,320 feet below sea level, in the lowest place on earth, is the Dead Sea. With an average of 330 full sunny days a year and oxygen-rich atmosphere, the Dead Sea is a precious jewel of healing and relaxation for people worldwide. The Dead Sea contains a high concentration of minerals that have seeped from rocks and soil and have been carried by springs to the Dead Sea, which has no outlet. Minerals, such as magnesium, calcium, potassium and iron are known for their ability to calm aching muscles and joints, stimulate natural circulation, smooth and soften the skin and help relieve stress and tension. 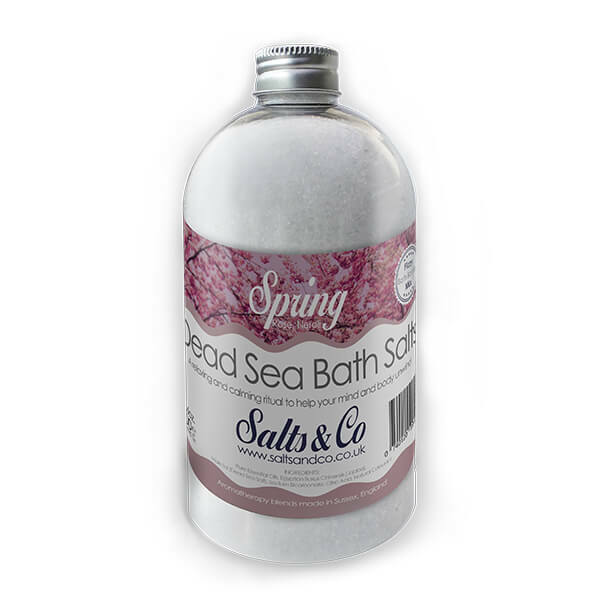 Dead Sea bath salts blended with Rose & Neroli pure essential oils. 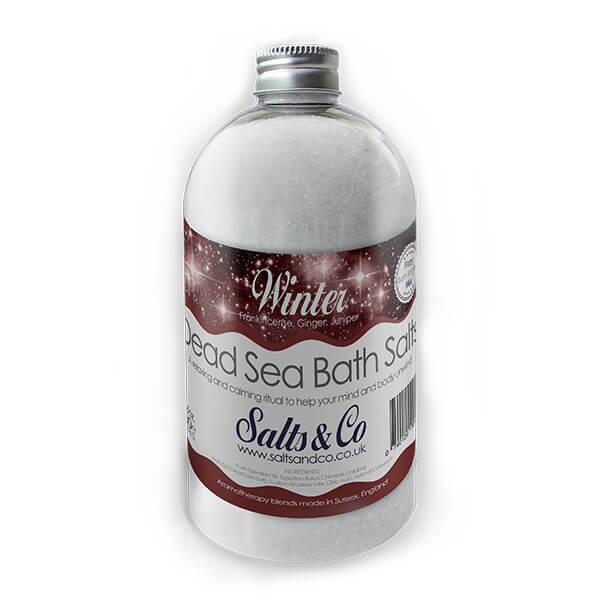 Dead Sea bath salts blended with Patchouli, Ylang Ylang & Lemongrass pure essential oils. 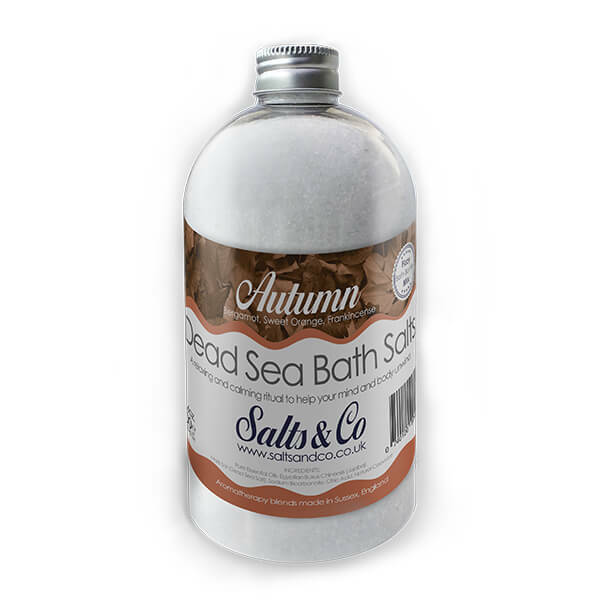 Dead Sea bath salts blended with Bergamot, Sweet Orange & Frankincense pure essential oils. Dead Sea bath salts blended with Frankincence, Ginger & Juniper pure essential oils. Our Dead Sea Salts selection follows the seasons, you will find Autumn Dead Sea Salts with Bergamot, Sweet Orange & Frankincense, Winter Dead Sea Salts with Ginger, Juniper & Frankincense, Spring Dead Sea Salts with Rose & Neroli and Summer Dead Sea Salts with Patchouli Ylang Ylang & Lemongrass. Please note, the color of our bath salts may vary from batch to batch, as all our products are handmade. Our Dead Sea Salts may contain small stones as we use pure mineral organic salts.